Poker Sit-N-Gos can be a great way to earn big money playing poker. Understanding basic SNG strategy and following our SNG tips can give you an advantage over the opposition. The tips mentioned in this article were written with no-limit holdem single table SNGs in mind, but many of them will be applicable to any type of SNG tournament. SNG strategy varies depending on the type of players you are up against. In the early stages of any SNG, tight disciplined play is usually the correct way to approach the game. Depending on the strength of your opponents however, you may want to approach the bubble and the end game either loosely and aggressively, or conservatively. Generally the more knowledgeable your opponents are, the more aggressively you should approach the bubble and the end game. SNG and tournament poker strategy overlap quite a bit, so make sure you check out our top 5 tournament poker tips! It is important to play conservatively in the early stages of a single table SNG. The reason you want to conserve your stack when the blinds are low is so that when the blinds become large later in the tournament, you have enough chips remaining for a double up to matter. Much of SNG strategy comes down to understanding proper push fold strategy. Knowing when to shove all your chips in the middle is a very important skill in sit-n-go’s. Conserving your chips allows you to begin playing the push fold game 5 or 10 minutes later than your opponents increasing your odds of surviving the bubble. Simply put, a winning formula for crushing low stakes single-table SNG turbos and non-turbos is play tight early and play aggressive late. In a single table SNG, the 4th place finisher receives no money, and the 3rd place finisher doubles his initial buy-in. The pay bump from 4th to 3rd is not the largest pay increase quantitatively, but it is the largest percentage pay bump in the sit-n-go. 3rd place receives infinitely more money than 4th place in fact! For this reason, the bubble is the most important part of any sit-n-go, and playing the bubble correctly is critical for any SNG grinder. If you are the big stack going into the bubble, you should look for chances to abuse your opponent’s reluctance to go broke by putting them to difficult decisions. If the pot is unopened in front of you on the bubble and you are the big stack, you should raise well over 50% of your hands. Your opponents will need premium hands to move all-in, and the blinds are too large for them to profitably make in between plays like calling. Use this opportunity to pad your stack for the post-bubble end game. If you are the short stack, you should be looking for every reasonable opportunity to move all-in and steal the blinds. You don’t need a hand to do this. This decision should be based primarily on your stack size, your position at the table, and the preceding action. For instance, if there is no one in the pot, and you have 6 big blinds, you should move all-in with any 2 cards. Your stack size and the stack size of your opponents should be a huge factor in your decision making in any SNG game. A big part of successful SNG play is blind stealing, and another big factor to winning SNGs is learning when to re-steal vs. an initial raiser. One of the most important factors when stealing or re-stealing should be stack sizes. The critical stack size is no-limit poker is about 8 to 10 big blinds. This is the point when you should begin playing push-fold poker. Your stack size is too short for you to fold to any re-raise, so any play you make is for your whole stack. All-in dealer! Additionally, a good re-stealing stack size is approximately 16 to 20 big blinds. If an opponent opens the pot in front of you and you have a reasonable hand, consider moving all-in. Assuming your open is likely to be on a steal himself, a reasonable hand to re-steal with can include any pair, medium suited connectors, any ace, and any broadway cards. Finally, where is the big stack? How is the big stack playing? If the big stack is particularly aggressive, consider blind-stealing when the big stack is not in the pot, and not in the big blind. 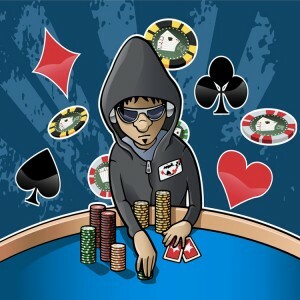 Check out our Top 5 Poker Sites and choose your favorite online casino now! Multi-tabling SNGs is definitely a good way to increase your hourly win-rate. However SNGs can be a grind. A good way to keep yourself fresh is to do sets of SNGs. Pick a number of SNGs and play that many, once you have registered for the last one, don’t register for any more and take some time off after your set is finished. It’s also important to be aware of your multi-tabling limit. How many tables can you play before you begin to make mistakes and miss important information? How much information can you afford to miss? Sometimes it’s worth it to miss a piece of information in order to play 3 more tables. Generally speaking, you should play only as many tables as you can play without draining yourself mentally. SNG grinding is exactly that, grinding. An acceptable ROI (return on investment) for a strong player who plays many tables at once is about 5% to 6%. Unfortunately, this means that even the best players go on long stretches where they don’t make any money. If you are confident that you are playing correctly, the only thing you can do is play some more! Take breaks, make sure you are able to recognize if you are tilting and take an hour or a day off if you aren’t playing your A-game. And then play more SNGs. In the long run, disciplined intelligent play will see profit! Download Carbon Poker and Get Your Piece of the Action! Carbon Poker is far and away the largest and most reliable online poker site available to players in the USA! If you are looking for tons of action at all hours, you got it. Reliable cashouts? No problem. $600 dollars just for signing up through TopFivePoker.com? Just click here! PokerStars is the world's largest online poker room. Sign up for a $600 bonus and VIP rewards. True Poker has the fastest payouts to US players. Sign up to receive a $1000 deposit bonus. 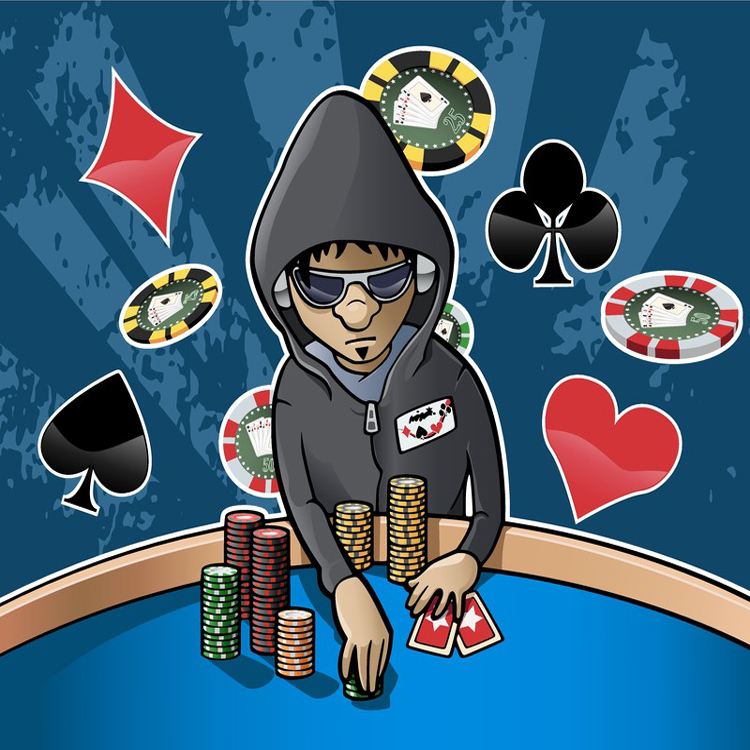 Party Poker is one of the oldest and most trusted poker rooms. Sign up for a $500 bonus. Carbon Poker is the largest room for US players. Sign up for 45% cashback and $600. Muchos Poker is a platform that lets you play at 10 different poker rooms with one bankroll.